Budapest City Archives launched the Béla Lajta Virtual Archives in late 2010, coinciding with the first exhibition on this outstanding Hungarian architect. Béla Lajta (1873-1920) began his career in the early 20th century as an adherent of Ödön Lechner´s national Art Nouveau style. His apartment blocks, schools, hospital buildings and family vaults (1905-15) combine a sober monumentality, well-organised floor plans and fine, personalised detailing, placing them among the foremost buildings in Budapest´s late Art Nouveau or early Modern period. Despite this importance, much of his work stands today in an altered or dilapidated state. His private archives have fared no better: very few of Lajta´s personal records or drawings survive. Lacking an up-to-date monograph, or study of primary sources, a great deal of our knowledge about the architect is based on myth. The archives strive to cohere scattered documents pertaining to Lajta´s life and work into an easily accessible database, in cooperation with several Hungarian public and private collections. Visitors to the website can study all his surviving architectural drawings, a broad selection of period photos and written documents pertaining to his buildings, alongside records on later alterations as well as a complete photographic record of their present state. The few documents that shed light on Lajta´s personality (personal correspondence, family records, etc.) are also reproduced here together with some works from his photographic and art collection. Though certain site content is only accessible in Hungarian, the visual documents include English captions while posts on Lajta´s major works are equipped with English descriptions. The online archive aims to allow local and international users to discover Lajta´s art in detail, thus helping to create a complex, balanced view of his achievements. 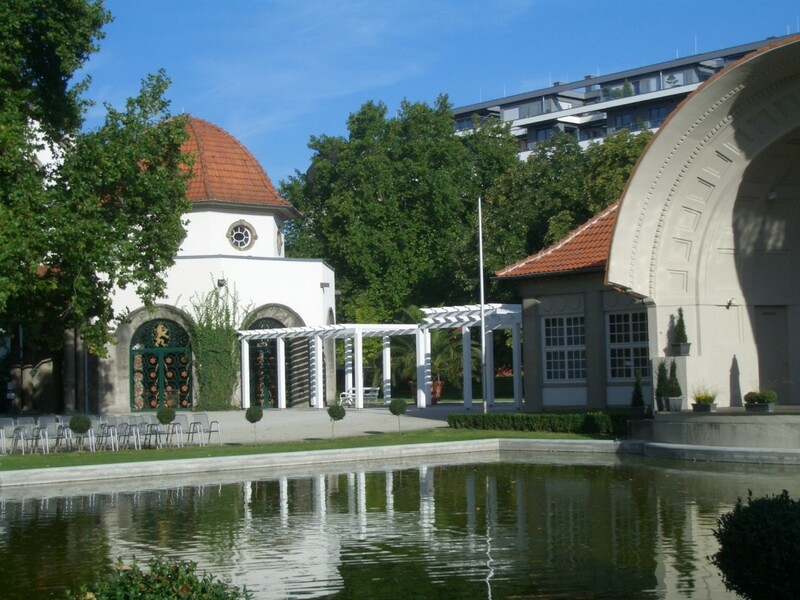 The town of Bad Nauheim will celebrate the 100th anniversary of its Trinkkuranlage, or pump room, in 2012. This charming element in the vast Sprudelhof spa complex that includes technical buildings and a plant nursery, was built between 1910 and 1912. 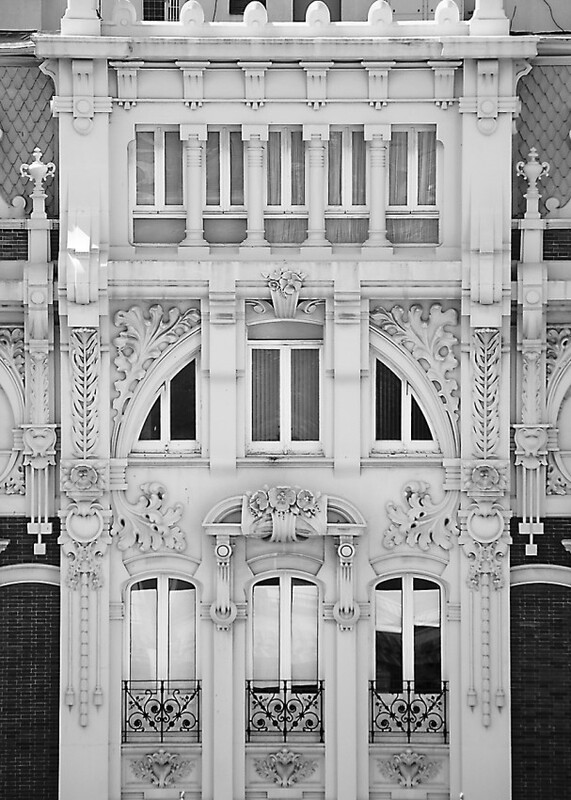 In building the Trinkkuranlage, the architect Wilhelm Jost moved away from the Jugendstil, or Art Nouveau style, towards a new classicism, thus reflecting the tastes of a younger, well-educated, middle-class generation, one which favoured a dignified yet simpler environment. 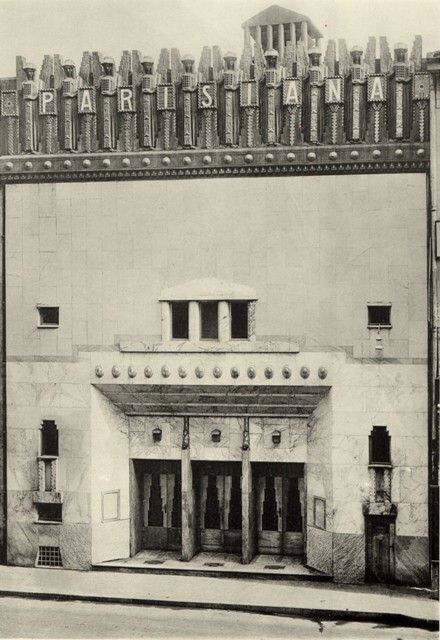 The main entrance, with its Doric columns and triangular pediment, strongly reminds one of a classical temple. Upon entering, visitors are surprised by a horseshoe-shaped layout. Columned arcades curve away on both sides while facing the entrance is an orchestra stage with a shell-shaped roof and a water basin before it. On the right-hand side, the arcade ends in an octagonal building. This was where milk therapy was offered during the Belle Époque. To the left, an identical building contains a fountain for dispensing the healing mineral waters from three natural wells. This fountain with its gilded top and unique Scharvogel tiles in grey-green tones is still an eye-catcher today. Next to this room, one of the wells is sited in dignified surroundings within an octagonal building reminiscent of a Roman baptisterium. One hundred years ago, the Trinkkuranlage constituted a meeting point for international guests, who would stroll leisurely while they talked, sipped their water and listened to music. In 2012, a number of events will pay special attention not just to the Trinkkuranlage but also to the Sprudelhof. These include the annual Jugendstilfestival, the exhibition "Bauen für ein neues Leben" (Building for a New Life), which was first presented during the Symposium of the Réseau Art Nouveau Network six years ago, as well as special guided tours. A detailed programme has not yet been finalised. However, the spa areas will be the pièce de résistance at Bad Nauheim 2012. The fifteenth of April 2012 is the 150th anniversary of the birth of the architect Víctor Beltrí Roqueta, who was born in Tortosa yet lived in Cartagena. He trained at Barcelona´s School of Architecture and practised as a municipal architect in his hometown of Tortosa. After periods in Gandía and Murcia his final destination was the city of Cartagena. Here he worked for almost forty years. Currently in Cartagena´s Old Town you can admire around fifty of his projects. To celebrate such a significant date, in this city several years ago the association "Comisión Beltrí 2012" (Beltrí Committee 2012) was launched, formed of descendants and admirers of the architect and his works. 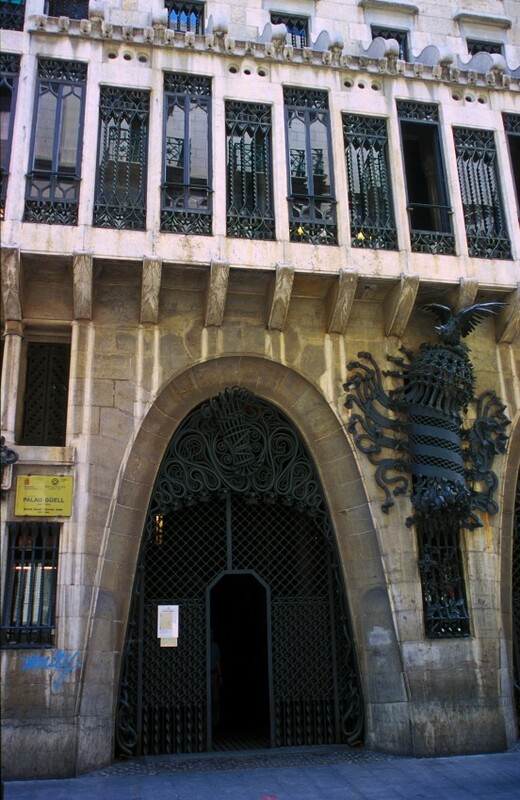 One of the first decisions taken by the Beltrí Committee 2012 was to join the Art Nouveau European Route, which Cartagena City Council proceeded to do. The association has programmed many events for the coming year to ensure that this illustrious figure is fittingly remembered. Especially moving for his family will be the naming of one of the city´s large avenues after the architect and the unveiling of a square recognising his work. It is this prolific output which can be viewed in the comprehensive exhibition which will take place in March in the beautiful setting of Cartagena´s Palacio Consistorial (city council building). Projects such as grand mansions for Cartagena´s wealthy patrons, public building projects, the development of worker residences, or the reconstruction of churches like the Old Cathedral are among the works that can be appreciated in this homage to Beltrí. Likewise, this Beltrí Year´s cultural activities would not be complete without the conference programme on Art Nouveau as an architectural movement that has been organised by the Beltrí Committee 2012. All in all, this series of initiatives provides a further enticement to visit the already attractive city of Cartagena. 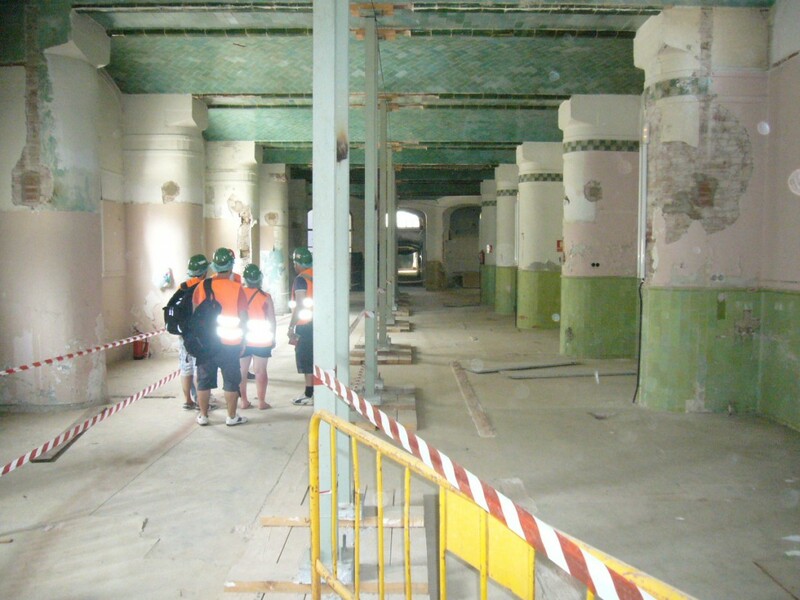 From 11 July 2011, the guided tours of the Modernista complex of Hospital Sant Pau will also include a section of the tunnels built by Domènech i Montaner that linked together the various Modernista pavilions that formed part of the hospital premises. With this new addition, the tour´s itinerary will now include the renovated Sant Jordi Pavilion, which houses an exhibition on the past, present and future of the institution, the hospital church, Sant Rafael Pavilion and a section of the aforementioned tunnels, as well as a stroll through part of the complex´s former gardens. The tours are guided and all visitors must wear a reflective helmet and vest, which are provided to each visitor at the beginning of the tour. The starting point of the tours is the Information Centre of the Modernisme Route, next to the entrance to the Sant Jordi Pavilion - enter via Carrer Sant Antoni M. Claret, opposite Carrer Dos de Maig - where you can enjoy a free screening of the film "Modernisme and Society" (15 min). Visitors will be advised before each tour if the itinerary is affected by any changes or the closure of any spaces because of pavilion availability or renovation work. Palau Güell (1885-1890), a building by Antoni Gaudí which was declared a UNESCO World Heritage Site in 1984, has reopened to the general public. The restoration work begun in 2004 has been completed, returning the palace to its original splendour.